Have you ever wondered what it would be like to study in a Chinese go school? Sinan Djepov of Bulgaria, rated 5d by the European Go Federation, recently spent three months studying go at Ge Yuhong Go Academy in Beijing as part of the CEGO Academic Programme. This program, a collaboration between the EGF and Chinese company CEGO teams up pros from China with teachers from Europe to train young players who will become the next generation of top players. 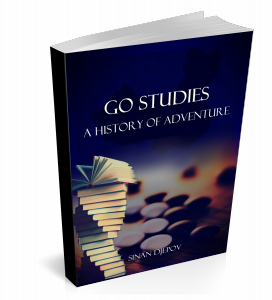 Djepov recently published a new ebook entitled, Go Studies: A History of Adventure, in which he presents new opening ideas, joseki changes, creative moves, and also his experience of what it is like to study go in a Chinese go school in the 21st century. He has made the ebook available for free. You can download your copy in PDF format from his Explore Baduk website.